The BH Fitness Prisma M10 is an established model in the the UK market from Spain’s number one fitness brand BH Fitness. 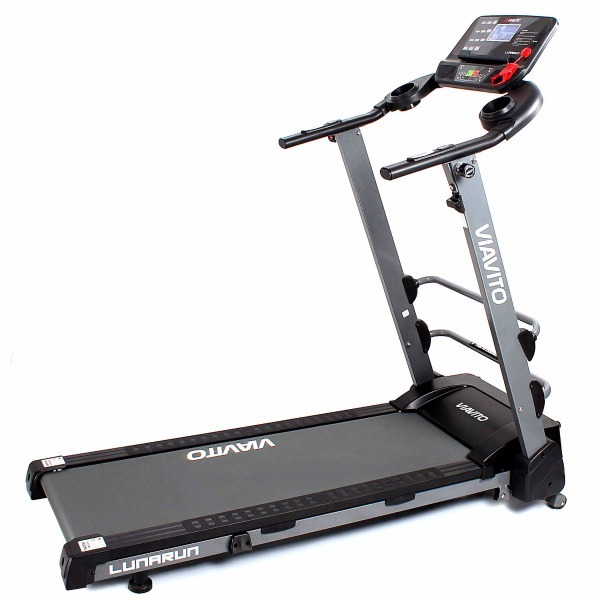 This treadmill has the specifications of more expensive machines and has been available for £700-£800 across many fitness retailers. The first thing that a purchaser of this machine will notice when opening the box is that the treadmill is pretty much assembled in the box. This is thanks to BH’s “Plug and Run” mechanism whereby the final assembly is really as simple as the lifting the uprights into place, tilting the console into place and tightening a few bolts. This compares with 45 minutes to an hour of assembly that is needed on the majority of treadmills! The motor is has a 1.5 horsepower continuous duty rating (2.75 peak) which ensures consistent and smooth operation to the maximum speed of just over 11 mph (18 kph). In addition, there is electronically controlled incline of upto 12%. It should be noted that this is the first sub-£500 machine that we’ve come across with a 12% incline and a top speed of over 10 mph! The running deck is well cushioned as a result of 8 elastometers being enhanced by BH’s Progressive Cushioning System. 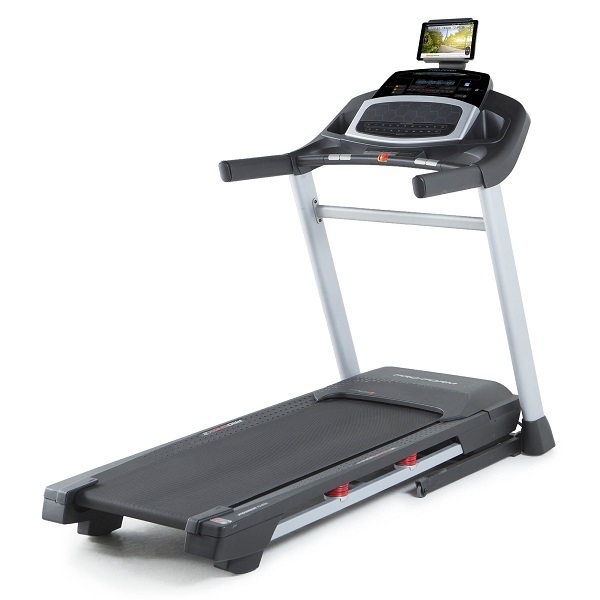 In terms of size, the running belt is a half way house between compact treadmills and those with a full-sized belt. 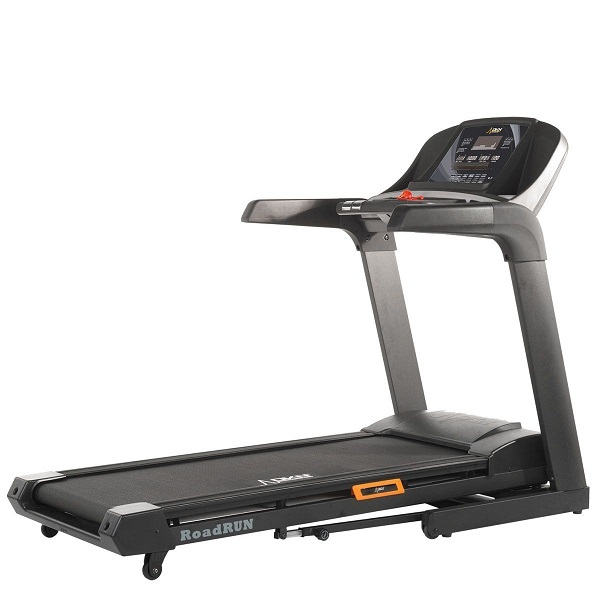 It measures 45cm (17.7″) in width and 128cm (50.3″) in length providing adequate space for running comfortably as well as fast walking. The console on this machine is clear and simple to operate. It features 3 backlit LCD windows providing constant feeback. The first window displays the current incline as well as the user’s heart rate when the pulse sensors are grabbed for pulse rate measurement for a few seconds. The second window cycles between exercise time, distance covered and the estimated calorie usage and the final screen provides the speed. We are pleased to report that whilst the treadmill is preset to show distances and speeds based in kilometers, this setting can easily be changed to use miles as its basis. 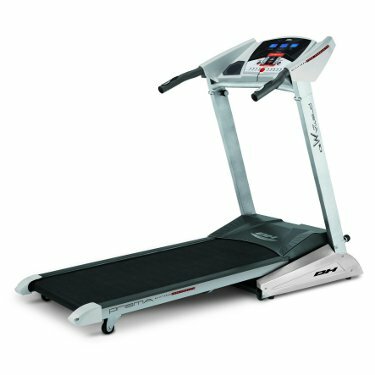 There is a good variety of programmes on the M10 treadmill with 9 pre-set programmes and 3 custom programmes which can have the speed and incline for each of the 20 programme segments being designed by the user. 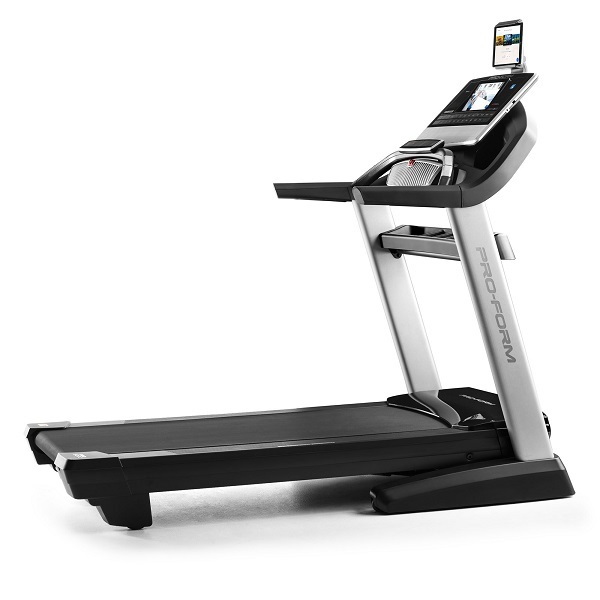 The course profile of each of the 9 pre-set programmes are printed right on the console and the programmes control both the speed and incline of the treadmill. For each programme, it’s possible to specify the target duration of the programme, target distance or the target calories. This compares very well other treadmills (including may higher priced machines) that often only offer fixed duration programmes. The user defined programmes are a very nice feature to have; while they’re unlikely to be used for those just starting out with their fitness regime, they provide for flexibility as the user’s fitness levels increase and more challenging workouts are required. The custom programmes are pretty straightforward to enter into the console and save! We liked the speed and incline adjustment buttons on the handrails as these are a more practical means of adjusting the speed and incline whilst exercising than reaching forward to the console to make adjustments. The folding mechanism has hydraulics which eliminates the risk of injury as a result of the deck suddenly dropping when unfolding and there is a foot operated safety latch to keep the deck securely in place when folded. The warranty on the BH Fitness M10 is among the best out there with 10 years on frame and motor and 3 years parts on labour for total peace of mind. Interestingly, BH Fitness are almost alone in the fitness industry in honouring warranties on treadmills that are kept in garages! This is an important detail to consider if the home gym is to be in a garage or an outbuilding. IMPORTANT: This is a heavy treadmill – something that contributes positively to the sturdiness of the machine and is packaged in one large box. For reasons of both safety and convenience, the product should only be delivered using a 2-man delivery service and not an overnight courier. We can confirm that Sweatband (see below) include the additional costs of 2-man delivery as part of their price. 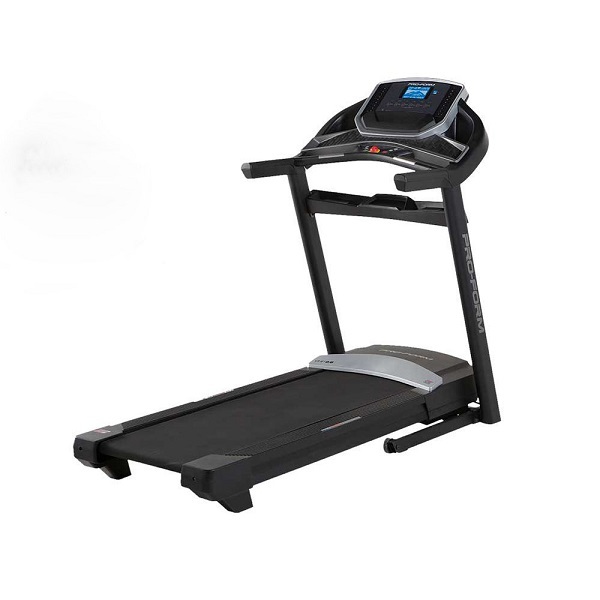 The BH Fitness M10 is an impressive machine at that stacks up well as a mid-priced treadmill with its high speed, 12% incline, minimal assembly and easy to use console. 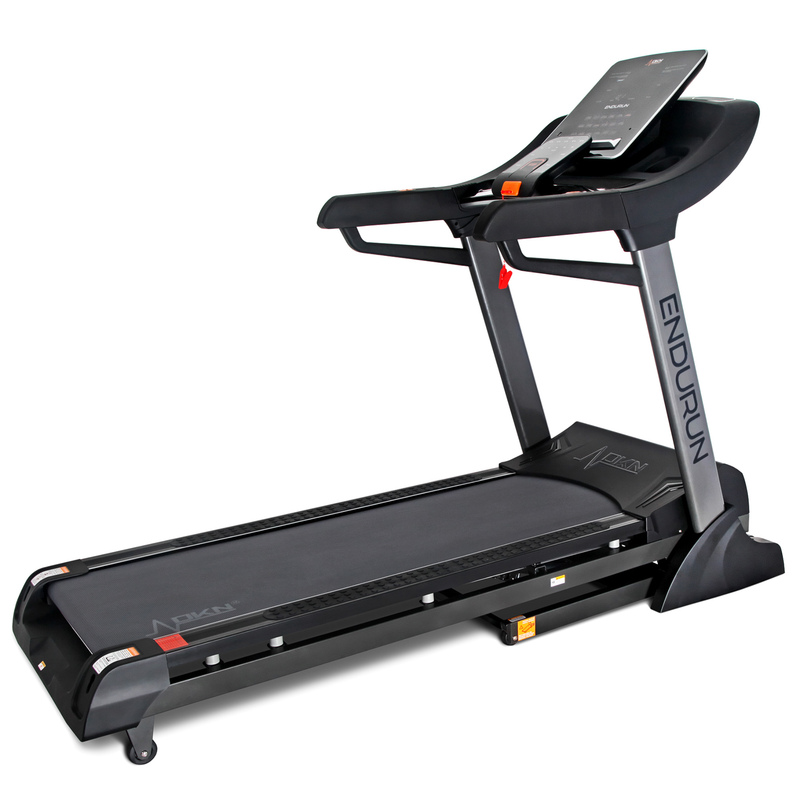 As a budget priced treadmill, it offers incredible value for money and is a very easy choice to recommend. 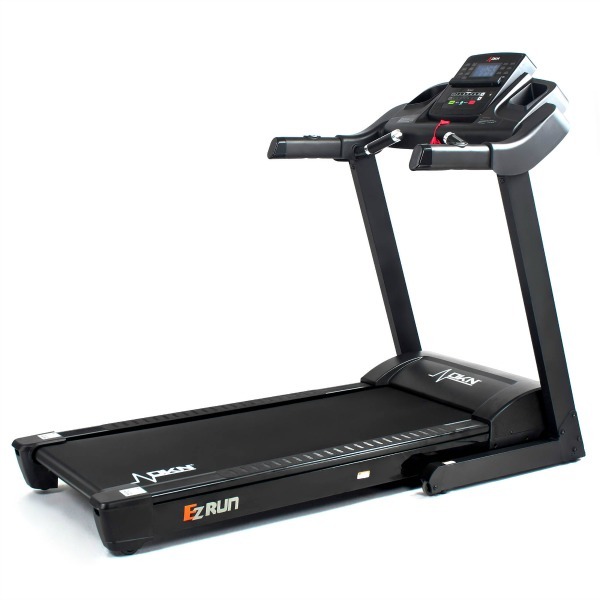 If your budget can stretch a little further, we'd highly recommend considering the Proform 705 ZLT which adds the amazing iFit technology and includes wireless heart rate measurement with a chest belt for about a hundred pounds more. Do note, however, that the 705 does have a wider and longer running deck and will require more space! No cooling fan in the console. No wireless heart rate measurement.